I’m on the record as not being the biggest fan of Czech cuisine. That doesn’t mean I dislike it. I enjoy a good svíčková na smetaně, vepřová krkovice or řízek s bramborovým salátem now and then. It’s just that I’ve lived here for a long time and have eaten plenty of the heavy stuff. So I don’t regularly seek it out. 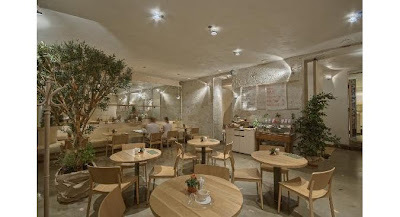 When Expats.cz asked me to put together a list of Czech restaurants, I told them I’d just pass along what I tell my friends when they ask my opinions on the subject. And I always have plenty of opinions. Here, then, is my list. It is not a “best” list or a “Top 10” list in any particular order. In fact, it’s just a survey of what I know after having lived here a long time. And it barely scratches the surface. If you know a place worth recommending, especially something beyond the usual suspects, feel free to share. 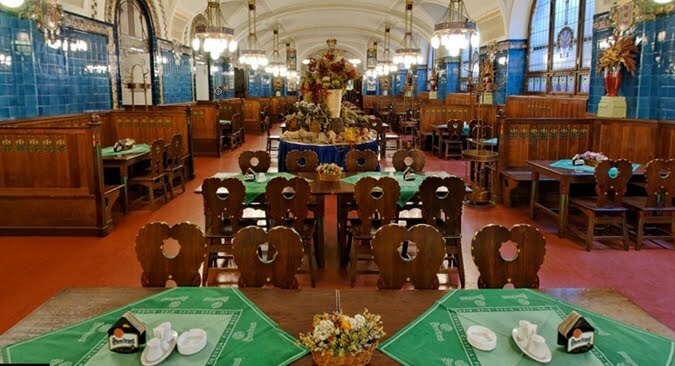 This is one of the most popular Czech restaurants in Prague. They do great řízek s bramborovým salátem (schnitzel and potato salad) and many other simple, classic, well-executed dishes with very reasonable prices for the center of the city. The Pilsner Urquell from tanks is great. I’ve often found the service to be friendly and efficient. But it’s a very long, often noisy and chaotic place and reservations are usually required in the evening. It’s not for everyone; I recommended it to an acquaintance who brought a group of guests there and he hated it. 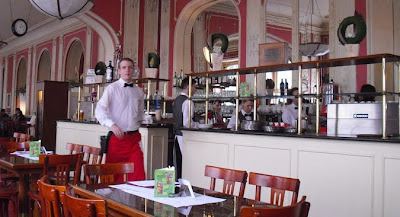 Like Lokál, this place is run by the successful and well-managed Ambiente Group. 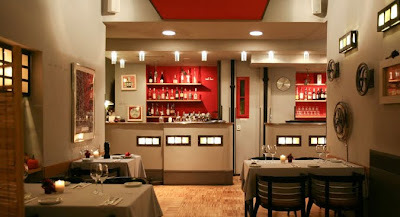 The restaurant is all about the meat, with a particular focus on beef. Then even have whole sides of cows in a windowed fridge. 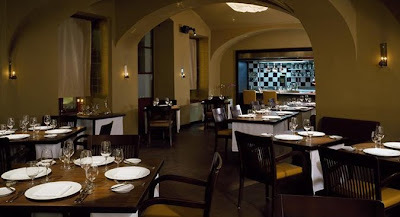 There are a wide variety of steaks, cooked a wide variety of ways, all from Czech beef. It’s not as good as South American cuts, but still pretty good. They also have tank Pilsner. 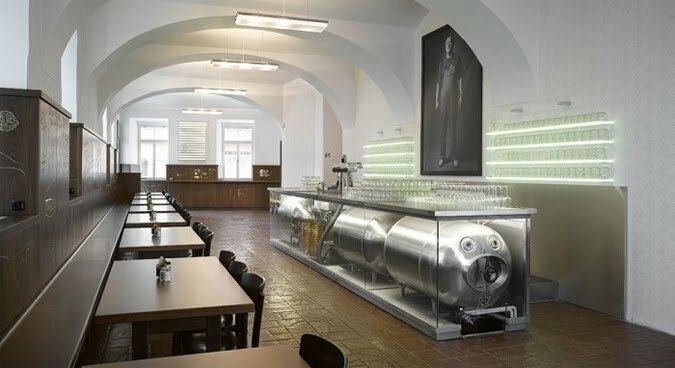 These are all Pilsner Urquell Original Restaurant franchises. Yes, menus can vary slightly among these restaurants, but they pretty much look the same with brass fittings and brown furniture. I never found them to be exceptional, but I’ve also had some decent meals. This is perhaps the least typical of Czech restaurants, but it is one of my favorite spots for a good, relatively inexpensive meal in the center. Yes, they do some more international dishes like pumpkin and ginger soup. But they also do beef tartare, grilled duck breast, and schnitzels. They also have svíčková na smetaně, but I don’t recommend it here. I found it too sweet. I didn’t really like the food here. 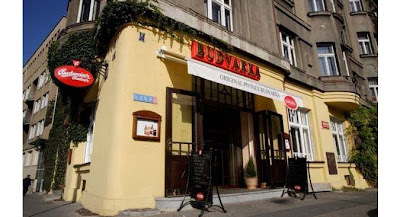 But I would recommend it for one reason: I think their Budvar kroužkovaný ležák or yeast beer is delicious. I love its clean, crispy flavor and its lovely, delicate carbonation. Probably the most expensive Czech restaurant on the planet. And yet everyone who’s eaten there says it is worth it and many feel it deserves a Michelin star. In my dreams, a wealthy cougar will wine and dine me there. I know a few people swear by this place for good, classic Czech food, decent prices for the center, and usually, but not always good service. They pull in a lot of tourists so it can get hectic. You can drink Czech Budweiser there (no relation to the American version), but the real highlight is the production from their microbrewery. I like the Old Gott Barique. Watch out for the X Beer 33 – it is 12.6% alcohol. You don’t hear much about this restaurant, but I asked around and found a few people who have eaten there and they liked the food. The prices are definitely on the high side for basic Czech fare like goulash, pork medallions, and duck. 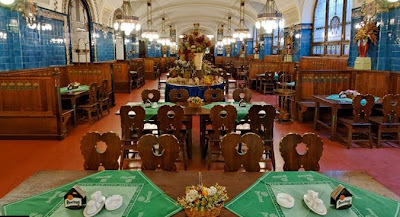 But the main reason I put it on my list is I think it is one of the more unique-looking and historic Czech restaurants in the city. That’s because it is in the basement of Obecní dům or Municipal House and the style is in keeping with the Art Nouveau grandeur of the rest of the building. Speaking of history, this restaurant has it up to the rafters. 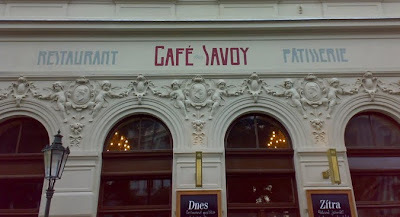 It was a favorite hang for Franz Kafka, Albert Einstein, and Karel Čapek. 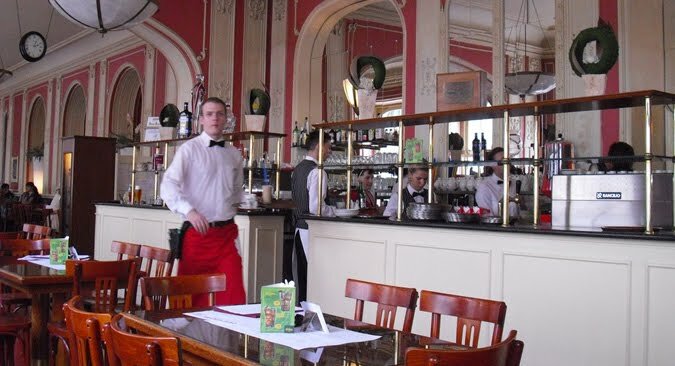 The dining rooms have also been nicely restored to capture the atmosphere of the early 20th century. The food can be basic to quite good, the prices are quite low, they do breakfast, lunch and dinner, you can shoot pool, spot Czech celebrities, journalists, and politicians, and the hot chocolate and desserts are amazing. This is one of my favorites. This great-looking and popular restaurant does a number of international dishes, but they also have my favorite versions of some Czech cuisine. First, I love their ham and cheese omelet made with beautiful chunks of real, top-quality Prague Ham. 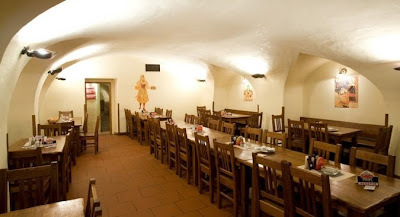 Second, I think the make the best řízek or schnitzel in town, either with veal or pork. I also like the little silver-domed dish with homemade cranberry compote. 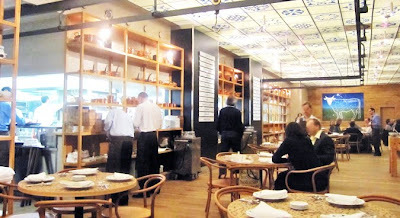 And if you eat there, don’t forget to look up and check out the beautiful ceiling. This restaurant is run by one of the country’s most famous TV chefs, Zdeněk Pohlreich. 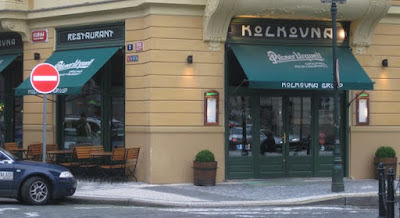 While I loved his other restaurant, Divins Wine Bar, I was never greatly impressed by the Czech menu at Imperial. I’ve heard others say nice things, so maybe I had bad luck during my visits. But I do think it is one of the most stylish and interesting dining rooms in the city. 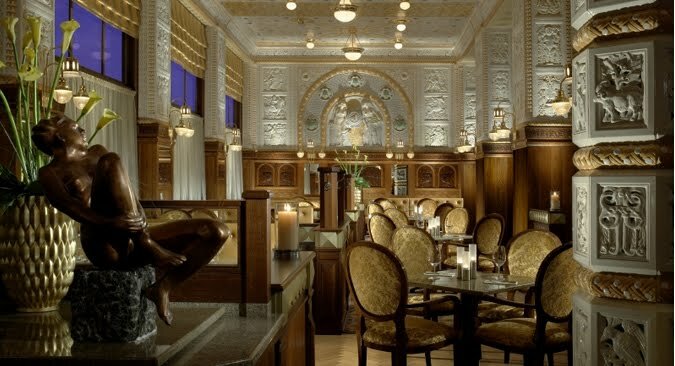 The tall walls and high ceilings are completely covered with Art Nouveau ceramic tiles and mosaics dating back to the Imperial Hotel's construction in 1914. Pretty spectacular. U Vejvodů is usually packed, with crowds of tourists mixing in with locals. 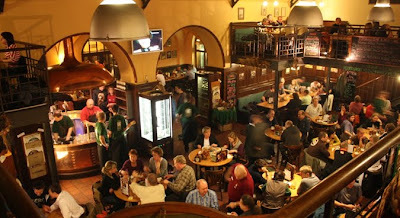 The Pilsner Urquell can be great and the beer price is decent for the center. It's a big, interesting-looking place. 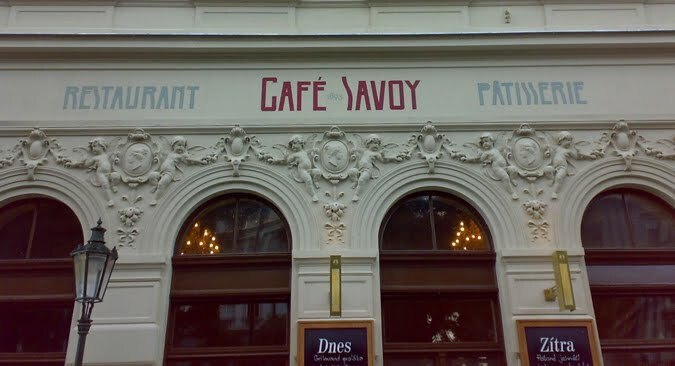 They cook the classic Czech menu, not always well. But check out many online reviews and read story after story about rude service, charges for the dry pretzels left on tables if you are uninformed and bite one, and waiters not returning returning change or tacking 15 to 20 percent service charges on bills. My overall impression from my last chaotic and smoky visit was of eating barely adequate Czech food in a big, busy, bus station. I'd add Klasterni Senk at brevnov monastery to that. Nice place, good food and generally good service. yeah I agree on tha one. Although i was there at the weekend and thought the food was pretty average for the first time. Strange as i normally swear by the place!